A good turnout to-day with fifteen entries to shoot the 25 Metre Precision format in pistol and gallery rifle, with mixed firing lines the norm. Some shooters entered two categories which makes the whole competition more worthwhile!! The weather was kindly, a slight bit of drizzle for a few minutes but otherwise good shooting condition prevailed and a competitive shoot was enjoyed by all. Congratulations to Frank B. on his win in the small bore pistol ‘red dot’ (open category) with an impressive 288/300 and his unchallenged best score in the centrefire category ‘red dot’ – where have all of our centrefire shooters gone? Sean Mc. shot to his usual his usual high standard in the gallery rifle category registering 268/300 and the iron sights category was a rare win for the undersigned with 270/300!! My thanks Dave C. who stepped in to R/O a detail in this shoot to allow me to compete; the next shoot is planned for Sunday 24th June 2018, first shots away at 1030hrs, and we’ll be using the NASRPC Multi-Target format, which also allows intermingling of pistol and rifle shooters so bring your long guns with you!! 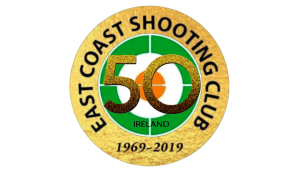 COMPETITION RESULTS MONTHLY PISTOL SHOOT 28th APRIL 2018 ECSC shooter wins Classic Rifle Competition in Kerry.